Here is some footage from an event put on by the Parola Tank Museum in Finland. This clip features a T-34 in Finnish markings and a BMP-1. Today we present one more English 1944 report on Soviet equipment posted on Scribd. 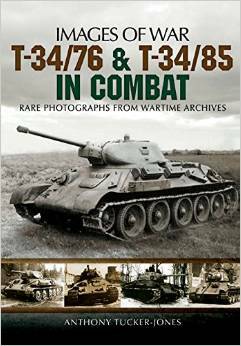 This report examines the V-2 12 cylinder diesel tank engine used in both the T-34 and the KV-1. This is a very thorough report, being almost as long as the similar reports on the vehicles themselves (posted here and here.) Detailed information on the V-2 engine is not all that easy to find in English, so this report should prove quite useful to those with a particular interest in the V-2 diesel. Click on the image below to view the report at Scribd. The design shows a clear-headed appreciation of the essential of the an effective tank and the requirements of war, duly adjusted to the particular characteristics of the Russian soldier, the terrain and the manufacturing facilities available. When it is considered how recently Russia has become industrialized and how great a proportion of the industrialized regions have been over-run by the enemy, with consequent loss of hurried evacuation of plant and workers, the design and production of such useful tanks in such great numbers stands out as an engineering achievement of the first magnitude. For those that like to obsess over armor, the reports include fairly detailed diagrams noting the thickness of armor for each vehicle, including Brinell hardness figures. Click on cover image to go to the Scribd page. Thenothrwestern.com is reporting that a T-34 medium tank from the Military Veterans Museum in Oshkosh was used in the filming of the new Marvel movie “Ant-Man.” The vehicle, which is in running condition, was transported to Atlanta for filming. Dave Kersztyn and Shane VanLinn, employees or the museum operated the tank during film production. 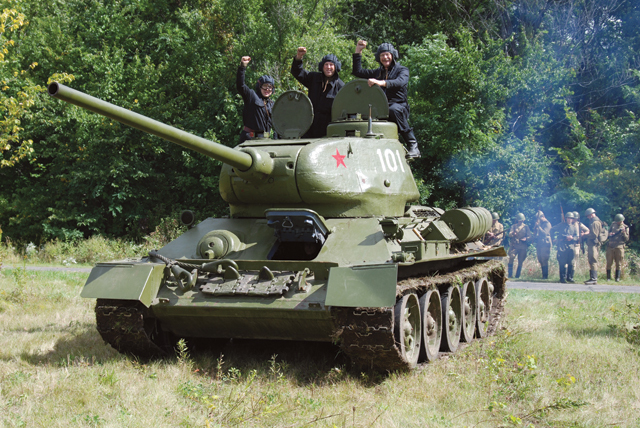 The Russian tank is one of the main displays at the museum, and Kersztyn said artifacts and original artwork as well as fake scenery from the scene and photos from “Ant-Man” will now accompany it. Because the museum is a nonprofit organization, Kersztyn said all of the money they made from the film will go right back into operating expenses of the museum.